Bees, Yellow Jackets and Wasps. What can we say? Incredibly useful creatures that actually do good by eating other insects, or producing honey, can be very troublesome here in the Tri-cities (Kennewick, Pasco, Richland). With our warm and arid climate, in addition to being a fruit growing region, we have everything here to make us particularly attractive to stinging insects of all types. 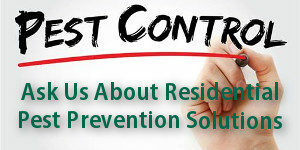 That is why Stinging Insect Control is one of our more popular services. I think we all have had the experience. A wonderful outdoor picnic ruined, your guests being bombarded by stinging insects while they sit on your deck or patio – or in a public park. Stinging insects can be a very painful annoyance, or worse, causing allergic reactions to the sting victim. In order to protect their nests, bees, wasps and yellow jackets will sting, and in the case of the latter two, will sting you repeatedly. Typically in late spring and summer, we start to get inquiries regarding wasps and other stinging insects, and what can be done to get rid of them and their nests. Wasps, yellow jackets and hornets can be beneficial insects since they prey on other pest insects that destroy your garden flowers and plants. However, in the late summer months they start to look to human food sources, hovering around garbage cans and outdoor food areas. 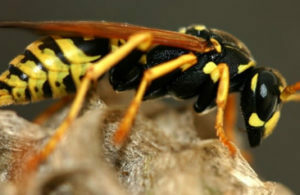 If wasps or yellow jackets feel their nest is in jeopardy, these insects will sting, which can be a painful nuisance for the sting victim, or even cause a person to go into anaphylactic shock should they suffer an allergic reaction to the sting. Because wasp stings can cause severe allergic reactions in people, having them nest in your yard or under your deck or eaves can be very dangerous for you and your family. There are many ways to curb wasp and other stinging insect activity around your home, but it is very dangerous to try to destroy a wasp or yellow jacket nest on your own. 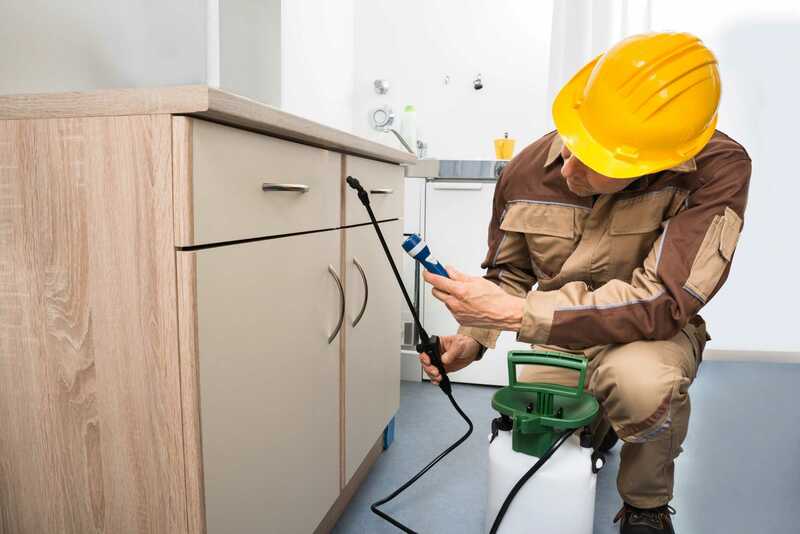 The only safe way to fully eliminate wasp nests and the nests of other stinging insects on your property is to contact the professionals at Complete Pest Prevention – we have the tools and the know-how for safe and effective nest removal and stinging insect control solutions. When eating outdoors, only put the food out once everyone is ready to eat, and make certain to put all food away when finished. All trash should be put into a trash can with a tight fitting lid. While eating outdoors, if a food or drink spill occurs, clean it up immediately. Avoid using scented cosmetics and flowery perfumes while spending time outdoors. With fruit bearing trees or bushes in your yard, keep the area around them clear of decaying fruit, as stinging insects may be attracted to the decaying fruits and berries. In the case of bees (honey bees), we do not destroy their colony. As we stated, all of these insects provide benefit by either eating other insects, or by producing honey (Yum). When a colony of honey bees is discovered to be the nuisance, we typically try and relocate their nest using local honey bee farmers.